Looking for a Unique and Active Vacation? Consider Colorado. Colorado’s beauty includes a range of breathtaking vistas from the Rocky Mountains to the Great Plains, as well as majestic Red Rocks and the Great Sand Dunes. Offering four distinct seasons, there’s a wide array of choices for both fun and fitness, making Colorado a world-class destination all year round. 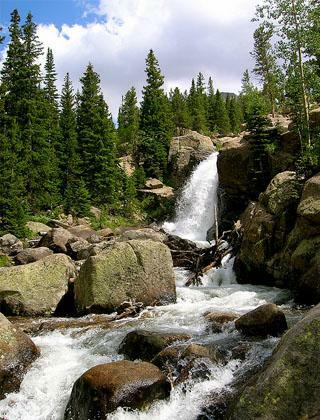 If you love hiking, Colorado boasts numerous national forests, Rocky Mountain National Park, and 54 mountain peaks that reach 14,000 feet or higher. With a trail system consisting of pathways for all skill levels, everyone can enjoy the great outdoors no matter what your experience. Whether trekking in and around sunlight-dappled aspens or alongside a rush of cool mountain whitewater, Colorado gives you the chance to get away from the white noise of the world within a short drive from the cities. Love snow skiing? Colorado’s alpine slopes host 11.5 million visitors each year. Vail, Breckenridge and Aspen are just a few of the exceptional ski choices to choose from. Not yet a seasoned skier? Beginner slopes are available as well. If you prefer to seek your thrills on the water, Colorado is the premier whitewater rafting destination in the United States. With experienced guides you can take water tours that are as thrilling or peaceful as you choose. Imagine flying down rivers between sheer mountain walls. Or maybe cycling’s your thing? 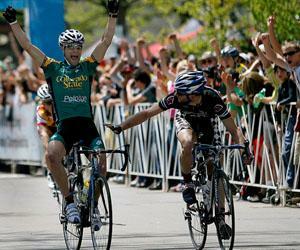 Home of the Copper Triangle cycling route, Colorado also has a remarkably fine infrastructure for cyclists, making it a world-class destination for two-wheeled friends of all levels. But if you prefer city life, Denver is located east of the Front Range of the Rocky Mountains and boasts 300 days of annual sunshine. Surrounded by exquisite mountain ranges, Denver has a vibrant arts scene and a culturally eclectic community. Love sports? Denver is home to NFL’s Denver Broncos and Major League Baseball team, the Colorado Rockies. On the smaller scale, the city of Boulder is home to the Celestial Seasonings, where you can take a free tour to learn how tea is made. And the college town of Fort Collins has been rated by Forbes Magazine as one of the best places to live. Love beer? Colorado is known the world over for its Craft Beer breweries, with Denver nicknamed the “Napa Valley of Beers”. Or maybe you prefer wine; from Cabernet Franc to Sauvignon Blanc, Colorado is home to at least one hundred vineyards, many of which are on the Western Slope of the Rocky Mountains. But more than any of these things, there’s a special feel to Colorado that no words can adequately capture. The overriding theme is one of low-key authenticity. With awe-inspiring scenery, world class entertainments and down-to-earth people who love and appreciate the great outdoors, Colorado is a place that will welcome you in and capture your heart. So come to Colorado, can’t wait to see you! Emma Bell, the author of the “Looking for a unique and active vacation? Consider Colorado” writes for a UK travel magazine.